Are You Ready For The Nike Air Foamposite Pro “Gucci?" One of Nike's most anticipated release this year is the Nike Air Foamposite Pro “Gucci." The classic Foamposite Pro silhouette will be sporting a colorway inspired by the Luxury Designer brand, Gucci. Known for it's red and green combo, it's clear to see the inspiration on this sneaker's colorway. 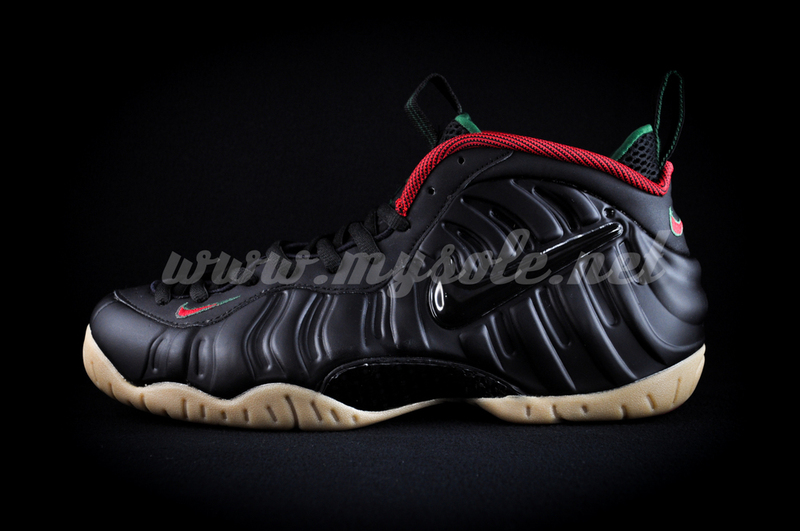 The Nike Air Foamposite Pro “Gucci" sports a matte black shell sitting on top of a gum sole. The sleek design is hit with gym red and gorge green throughout giving it that "Gucci" vibe. The Nike Air Foamposite Pro “Gucci" just may be one of the best Foamposites to drop in awhile. The sneaker doesn't have a release date yet, so stay tuned to SneakerShouts as we keep you updated! In the meantime, let us know how you feel about the Nike Air Foamposite Pro “Gucci."